The comedian, who is originally from Atlanta, Georgia, but now splits time between Atlanta and Los Angeles, recently called me to talk about an upcoming performance, and also to tell me what was cooking. Bruce Bruce – How is it going? Me – Pretty good. It’s a little bit cold but I’ll survive. Bruce Bruce – How cold is it? Me – Today was 22 degrees and blustery. Bruce Bruce – Good God. Me - It’s supposed to get bad but then get warmer next week to 37 degrees. So it may be warm for you. Bruce Bruce – So, I might get some warm weather, right? Me – Yeah, have you been here before? Bruce Bruce - I was there a long time ago. Me – You’re from Atlanta, Georgia. What were you doing there before you got into stand-up comedy? Bruce Bruce - I used to work for Frito-Lay potato chips. I used to sell a bag and then eat a bag and before that I was a chef. Me – How did you get involved with stand-up? Bruce Bruce - All my life I was a class clown, church clown, neighborhood clown. And I took a shot after my divorce. She pushed me and I took it. 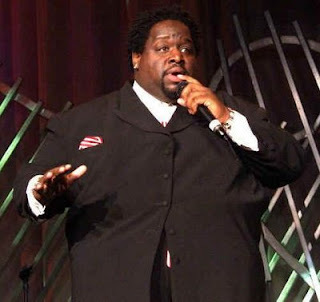 Bruce Bruce – I got on stage about 20 years ago, but I should have done it all my life. Me - Describe your act for people who haven't seen you perform. Bruce Bruce - My comedy has no color, it’s for everybody, black, white, Latino, Asian. It’s not a pro-black show, not a def jam show; it’s just straight, wholesome type of humor. Me – Now, you hosted a couple shows on BET. A lot of comedians find themselves hosting a TV show or being on a sitcom. 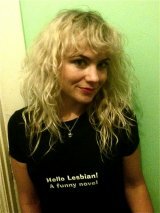 Would you ever want your own sitcom? Bruce Bruce - That’s my total next stop. In 2009, we have to make it happen. Me –Does writing come naturally or is it something you have to work on? Bruce Bruce - It comes naturally, I just make it happen, and then I just roll with it. Me - What's the worst experience you've had on stage? Bruce Bruce - Being sick. That’s the worst experience, you know when you have a cold or flu or something, and you have to perform in front of a thousand people. That’s the worst moment. Me - What can people find you doing on the road? Bruce Bruce - My crew and I, we like to hit the mall, we love to work out and we love to try different foods in different cities. Me - Is there a favorite city you like going to? Bruce Bruce - No, I’ll go to every one of them. My favorite city is all of them. I get my best support and most love everywhere. Me - Which comedians did you watch or admire growing up? Bruce Bruce - You’re not going to believe this, of course, growing up as a black child, I watched Richard Pryor, Redd Foxx, and Bill Cosby, but my favorite comedian is Milton Berle. Bruce Bruce – Yeah, Milton Berle was quick, he was smooth, he was very comfortable on stage, and no matter what you say he had a comeback for you. Me – What’s the best advice that someone has given you? Bruce Bruce - Stay focused, stay original and never use anyone else’s material. Me - You’ve done TV, movies, and even wrote a book. Bruce Bruce - I wrote a book called, “Baby James Brown.” The reason it’s called that is because James Brown was in my era. It’s like all the kids like 50 Cent and Eminem; James Brown was my man then. That’s who I liked, that’s who I idolized. Me – Which of those (TV, movie, writing, stand-up) do you like doing best? Bruce Bruce - Stand-up will always be the thing I do for the rest of my life. TV and film are going to be for my kids’ kids’ kids. And stand up is going to be for me. Me – What’s the one thing you want to accomplish when it’s all said and done? Bruce Bruce - I’d like to help other comedians and when I get a little older I’d like to open up a nice comedy club that is straight classy, with a straight restaurant and a chef. The whole thing, red carpet, and treating people nice, for people to come back and have a good time. That’s the kind of comedy club I want to open up.